As a result of the Biafran War, Nigeria had the largest standing army on the continent. 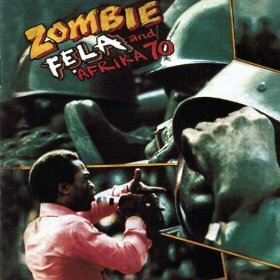 Although they may have liked Fela’s grooves, they did not enjoy being mocked. At the time, Fela, his wives, extended family, bandmates, and entourage, somewhere in the range of 150 people, all lived at the Kalakuta Republic, a compound that was also home to a recording studio and health clinic protected by an electric fence. One thousand soldiers surrounded the compound and set fire to the generator, powering the electric fence. Once the fence was totally powerless, they charged the compound and terrorized everything in their path. The soldiers were ruthless. They took broken bottles and shoved them into the private parts of the women. They threw Fela’s mother out of a second story window and beat Fela within an inch of his life. By the time they were finished, the entire compound had been burnt to the ground, and any journalists, emergency responders or onlookers were also beaten.